What are the Different Herb Applications? In China, the two most common methods of applying herb therapies are to make a decoction (a strong tea that must be simmered for about an hour or more) and to make large honey-bound pills. Both of these forms meet with considerable resistance in Western countries. The teas are deemed too time-consuming, smelly, and awful-tasting to justify their use, and the honey pills (boluses) are sticky, difficult to chew, and bad tasting. Thus, modern forms that are more acceptable have been developed for most applications. The two popular forms to replace the standard Chinese preparations are extract powders (or granules) and smooth, easy-to-swallow tablets or capsules. The extracts are made by producing a large batch of tea and then removing the water and producing a powder or tiny pellets; the resulting material is swallowed down with some water or mixed with hot water to make a tea. Tablets and capsules contain either powdered herbs or dried extracts or a combination of the two. Despite the convenience, one must take a substantial quantity of these prepared forms (compared to the amount of drugs one takes). For example, doses of the dried extracts range from 1-2 teaspoons each time, two to three times per day, and the tablets or capsules range from about 3-8 units each time, two to three times per day. The herb materials used in all these preparations are gathered from wild supplies or cultivated, usually in China (some come from India, the Mid-East, or elsewhere). There are an estimated 6,000 species in use, including nearly 1,000 materials derived from animal sources and over 100 minerals, all of them categorized under the general heading “herbs.” Herbs are processed in various ways, such as cleaning, soaking, slicing, and drying, according to the methods that have been reported to be most useful. These materials are then combined in a formulation; the ingredients and amounts of each item depend on the nature of the condition to be treated. American practitioners are usually trained at any one of about 45 colleges in the U.S., with a three- or four-year series of courses that include basic Oriental medical theory, acupuncture, and herb prescribing. Certification is offered at the national level and licensing or registration is offered now by most states. Many doctors from China have come to the U.S. and currently offer professional services throughout the country, but most often in the larger cities. Continuing education is provided through numerous symposia offered by the colleges and professional organizations devoted to Oriental medicine. Often, these meetings focus on the treatment of specific diseases or training in the use of a specialized acupuncture technique or valuable herb formula. Chinese herbs are provided in the U.S. as food supplements, now considered as OTC (over-the-counter) drugs. They are not strictly regulated by the FDA except for monitoring the cleanliness of manufacturing facilities (for those materials made in the U.S.; for the imported items, FDA monitors only the listing of ingredients to help ensure no toxic herbs are being used). Quality of preparations is indicated by GMP (good manufacturing practices)and can be found on the herbal preparation label. Random testing of crude herb materials and herb products made in the U.S. indicate that they are free of harmful bacteria and chemical contaminants. Imported products must be used with some caution, as some of them are problematic, yet get past the investigators. There are a few patent remedies that are labeled with only herb ingredients, but also contain several Western drugs. Some patents from China contain only Western drugs (and say so on the box, in Chinese), but purchasers may be unaware of this because they are told only that this is an effective remedy that came from China. Thus, imported Chinese herb products should be taken solely on the basis of a prescription from a trained health professional. 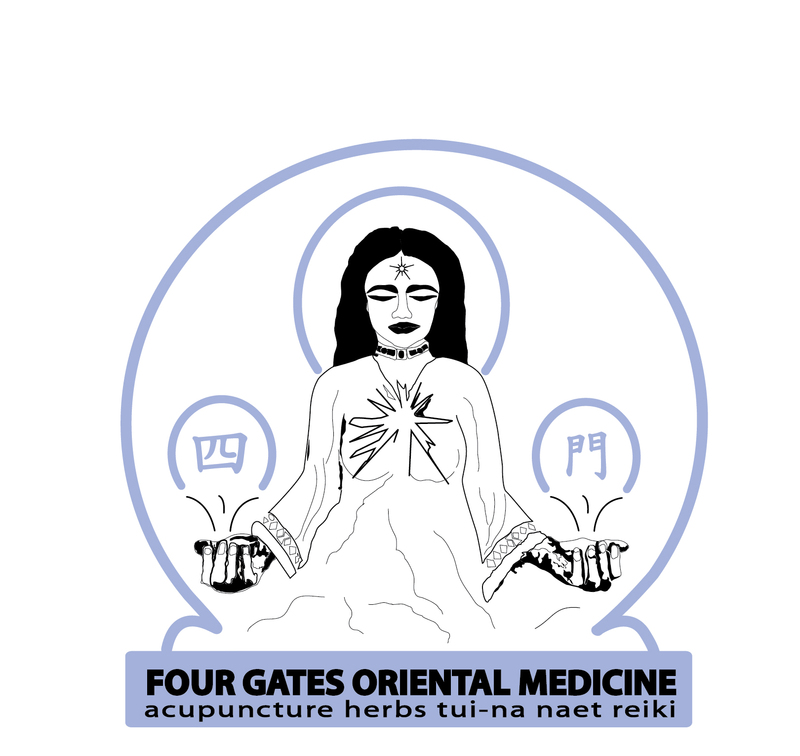 Four Gates Oriental Medicine only uses GMP products that contain no Western drugs or toxic chemicals. Negative interactions with Western drugs have not been noted for any of the common herb materials when used in the normal dosage range. A few people experience allergic reaction to individual herbs, a problem that often cannot be predicted in advance since these are idiosyncratic responses. A more common reaction is a gastro-intestinal response, which might include constipation or diarrhea, nausea or bloating. Such reactions may occur if the individual has poor digestive functions, or if the herbal formula is not quite right for the needs of the individual. Taking the herbs at a different time in relation to meals may be helpful in resolving some of the gastro-intestinal reactions. In a few cases, use of Chinese herb formulas may cause dizziness, headache, agitation, sleepiness, hungry feeling, lowered appetite, sensation of heat or cold, or other sensory reactions. If such responses persist after about three days of using the herbs, it may be necessary to change formulas.